Beginning July 2017, the Vascular Surgery Fellowship, directed by Michael Freeman, MD, is approved for four fellows, with a net increase of one position each year. 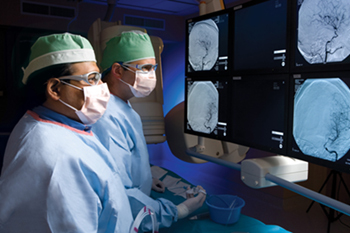 The Vascular Surgery Fellowship is a two-year program intended to provide the vascular fellow a broad experience in identifying and treating a wide spectrum of vascular disorders. The first year of the vascular surgery fellowship program is spent learning noninvasive vascular imaging, conducting research in the basic science vascular laboratory, as well as learning endovascular skills. During the second year, the vascular fellow rotates between the two clinical vascular services during which the fellow will see a wide spectrum of vascular diseases under the direction of five board-certified vascular attendings. Inpatient, outpatient, and operative care are under the direction of the vascular fellow with close supervision by the attendings. The fellow can be expected to finish with over 300 major vascular cases and over 400 arteriograms and endovascular therapeutic procedures. 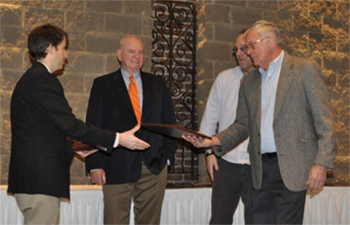 The UT Research Foundation (UTRF) recognized 88 University of Tennessee researchers, including several UT Graduate School of Medicine faculty and staff, for their discoveries and commercialization efforts made within the last two years during the 2016 Innovation Award Ceremony. Honorees included recipients of patents from the U.S. Patent and Trademark Office, as well as inventors of technologies that were licensed to outside companies or who had created a start-up company based on their technology. From the UT Graduate School of Medicine, Jonathan Wall, PhD, Director of the Preclinical and Diagnostic Molecular Imaging Laboratory, and Stephen Kennel, PhD, Associate Professor in the PDMIL, received a plaque in recognition of their patent "Inhibitory Peptides of Viral Infection." Alison McNabb, Director of Health Information Management and Services, received a License Certificate for Medical Examiner Data Dashboard; Alexander Pasciak, PhD, Clinical Associate Professor of Radiology, received a License Certificate for An Affordable Digital X-Ray Detection System Based on a Consumer-Grade DSLR Camera; and Carmen Lozzio, MD, Retired Professor of Medicine, received a certficate for K562 Cell Line. Dr. David Millhorn, UTRF President, said, "License agreements stemming from patented technologies generate revenue for the University and can develop into new companies, which contribute to local and regional economic development and impact the quality of life for Tennesseans,". 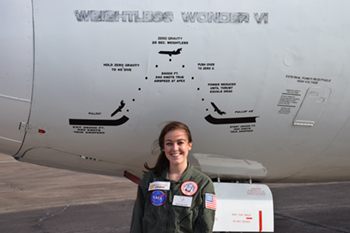 With the help and support of UT Graduate School of Medicine Surgery faculty, a UT College of Medicine student participated in research that combines her passions for surgery and space flight, research that will hopefully make the possibility of surgery in space a reality. Shea Harrison, a third-year medical student, has been interested in space travel since she was a little girl. 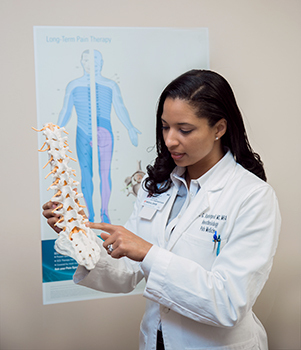 In high school, she participated in Medical Explorations and developed an interest in surgery while also following what was happening in aerospace medicine. She hoped she could somehow combine her interests in both fields. "I've considered aerospace medicine for a long time," Harrison said. "The flight surgeons at NASA are all aerospace medicine physicians who have really neat roles in supporting astronauts. But I love the operating room too much, and flight surgeons, despite their title, do not operate. For now, my plan is to train in surgery and hopefully one day find a way to be involved in space flight in some way." While in medical school, Harrison discovered a research project led by George Pantalos, PhD, a professor of surgery and bioengineering at the University of Louisville, that may have opened the door to her future in space. Harrison says that Dr. Pantalos's goal is to find a way to perform surgery in space, where microgravity makes surgery problematic. Without gravity, it's difficult to maintain a sterile field and keep the surgical site contained. She says people have been working to solve these problems for a long time. "Apollo 17 in 1972 was the last time man traveled into space beyond low earth orbit. For the past 15 years, we've had men on the international space station, which orbits about 250 miles above the earth. The people at NASA are working on plans for a number of manned missions that would take men much farther from the earth, including an asteroid and Mars. If a trauma or other surgical emergency happened on the international space station, the crew member could be home in 4 hours. Mars is 140 million miles from Earth and a trip home would take over a year, making an emergency return impossible. That's where the Astro Surgery project comes in," she said. Dr. Pantalos designed an aqueous immersion surgical system, an airtight and watertight clear dome placed over the surgical site with surgical ports and filled with continuously recirculating saline solution. The idea is to control bleeding, contain fluids that could be harmful to the crew, and keep the surgical site sterile. For the project, Harrison went to Johnson Space Center in Houston, Texas, for a week during her surgery rotation in Knoxville. She says the faculty in Knoxville helped her finish all of her required surgical rotations so that she could spend the week in Houston. "They were extremely supportive of my research and helped get the trip approved. I am really grateful," she said. While in Houston, she attended an international symposium on "Surgical Capabilities for Exploration and Colonization Space Flight" where people working on aspects of surgical capabilities for spaceflight gathered in Houston at the National Space Biomedical Research Institute to collaborate. After that conference, she worked on getting the experiments ready to fly on several parabolic flights. Although Harrison didn't get to go on a simulated flight, she says the Astro Surgery flights she helped prepare went really well, and the team gathered a lot of good data at both zero-gravity and lunar-gravity. In 2017, the technology will be tested in space on the Virgin Galactic SpaceShipTwo, which will allow the experiment to spend a longer time at zero-gravity. The coming year will revolve around preparing for the launch. Hear Dr. Pantalos talk about the Astro Surgery project via YouTube. "Study Stresses Need for Long-Term Tracking of Hernia Patients"
"University to Screen HPV documentary"
"Why Are Doctors' Offices So Badly Run? Seven years of medical school doesn't prepare you to run a business." "Detoxing for delivery: Facing medical challenges, judgment and sometimes jail"
"The University of Tennessee Medical Center's Top Physician Leader to Retire"
"People: On the move, honors"
"Tanning salons burned by proposed FDA regulations"
"UT Medical Center unveils research supporting opiate detox during pregnancy with no fetal death"
"Knoxville doctor supports opiate detox during pregnancy"
"UT Medical unveils research supporting opiate detoxification during pregnancy"
"UT doctor: Detoxing pregnant moms will save babies from suffering"
"UT Medical Center study supports opiate detox during pregnancy"
"Surgeon explains potential delay in ID of Brussels terror attacks victims"
"Facebook post inspires Knoxville mother to donate kidney to stranger"
"Wall to honor hospital's 'legacy' employees"
His clinical focus is in biliary/pancreatic pathology, surgical critical care, and phrenic nerve paralysis, and his research focus is pancreatic pseudocyst management, PEG tube management, massive transfusion protocols, and phrenic nerve paralysis. Dr. Nickloes is well published, including a book chapter and several peer reviewed journal articles. He also serves as an Independent Reviewer for the Journal of Laparoendoscopic Surgeons. The Division of Trauma and Surgical Critical Care is organized to provide continuity of care throughout the course of the acutely injured or critically ill surgical patient. The fellowship is one year for Surgical Critical Care and two years when combined with Trauma. The fellow must be board certified or board eligible in General Surgery. 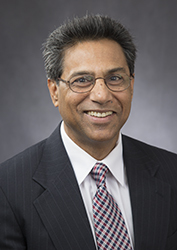 Subimal Datta, PhD, Professor of Anesthesiology and Professor of Psychology at the UT College of Arts and Sciences, will serve a six-year term from 2016-2022 on the Biobehavioral Regulation, Learning and Ethology (BRLE) Study Section panel for the National Institutes of Health (NIH). Its website says BRLE reviews applications concerned with basic biobehavioral processes and adaptation across the lifespan (infancy through old age.) Although the focus is on behavior, studies may also consider related neural, hormonal, and genetic factors. Dr. Datta has also been selected as a reviewer for the 2016 Education Peer Review Committee for the Fulbright Specialist Program. As part of the committee, Dr. Datta will review up to 30 Fulbright Scholar applications. According to its website, participating on the committee is an opportunity for members to learn from applicants in the Fulbright Program, engage with alumni, and be exposed to projects in their fields. 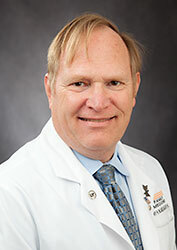 John "Jack" Lacey, III, MD, Clinical Assistant Professor of Medicine, Senior Vice President and Chief Medical Officer with nearly four decades of service at The University of Tennessee Medical Center, retired from his leadership role on March 31. 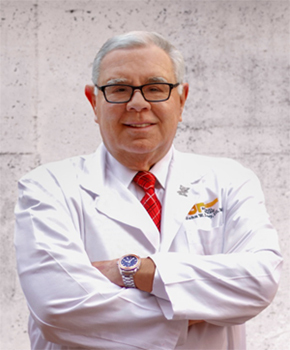 Dr. Lacey began his internal medicine practice with UT in 1977 and will continue as clinical faculty for the UT Graduate School of Medicine. 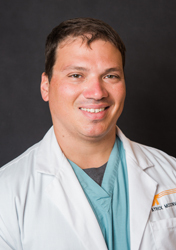 "Dr. Lacey is not only one of the best doctors and most skilled physicians I've known, but he's also one of the finest individuals I've ever had the pleasure of meeting," said Joseph R. Landsman, Jr., president and CEO of The University of Tennessee Medical Center. "Jack's compassion, as well as his dedication to his patients and our community, is demonstrative of the leadership he has provided to our team members and this campus for nearly forty years." In addition to Dr. Lacey's physician and administrative roles at the medical center, he is credited as the physician leader who helped create Knoxville Area Project Access, a partnership with the Knoxville Academy of Medicine as well as physicians and health systems in the Knoxville area that has provided pro bono primary and specialty healthcare services for the uninsured and medically underserved in the region since 2005. He additionally served, at the request of Tennessee Governor Bill Haslam, as the inaugural chair of the Governor's Health and Wellness Task Force, a group that formed in 2011 and unveiled a plan in 2013 to improve Tennessee's overall health as well as its standings in the annual America's Health Rankings study. 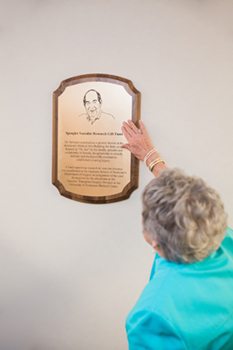 "Any accomplishments attributed to me are in truth the result of the supporting and partnering relationships I have been blessed with at The University of Tennessee Medical Center, as well as the unwarranted mercy and blessings of the good Lord," said Dr. Lacey. "All of our wonderful physicians have great skills and great hearts. I know this because I have never asked for help with a patient and not received it with great professionalism and expertise." Having served in the Chief Medical Officer role at the medical center since 1998, Dr. Lacey's awards and contributions are numerous, but a few stand out as milestones. In 1991, he earned recognition by Ned McWherter, Tennessee Governor at the time, as the recipient of the Tennessee Outstanding Achievement Award. More recently, Dr. Lacey received a 2015 Tennessee Hospital Association Award of Excellence for devoting his career to improving healthcare in the community, region, and state. 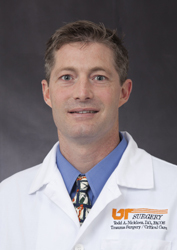 While continuing his administrative and physician practice roles into his final year at the medical center, Dr. Lacey also served as co-chair of the United Way of Greater Knoxville 2015 campaign, which reached its goal of raising more than $13 million to benefit Knoxville residents in need of education, income and health assistance. Jim Neutens, PhD, Dean of the UT Graduate School of Medicine, said, "There is no doubt Dr. Lacey is a physician's physician not only in clinical care but also serving as an excellent role model for our medical students, residents, and faculty." Jerry Epps, MD, who most recently served as Chair of the Department of Anesthesiology, succeeds Dr. Lacey as Senior Vice President and Chief Medical Officer. Gregory Blake, MD, Chair, Family Medicine, received the Tennessee Academy of Family Physicians' Family Physician of the Year Award. It is bestowed upon an individual who exemplifies the ideal family physician and who has made an outstanding contribution to Family Medicine and to the advancement of health and medical education. Dr. Blake has been a leader in promoting the education and values of Family Medicine to more than 200 residents, many of whom remain practicing within Tennessee. He promotes the primary care agenda within the academic medical center espousing Family Medicine as the foundation of community medical care, and he inspires his faculty to do the same. He serves as a member of the Tennessee AFP Board of Directors and as President of his local TNAFP chapter, Tennessee Valley Chapter. He is a retired Colonel in the Tennessee Air National Guard, having served his country in various conflicts including Operation Iraqi Freedom in 2003. 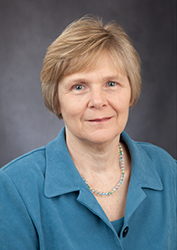 Sandy Oelschlegel, Associate Professor and Director of the Health Information Center – Preston Medical Library, has received the "Distinguished Level" of membership in the Academy of Health Information Professionals (AHIP) by the Medical Library Association (MLA). "The AHIP credential denotes the highest standards of professional competency and achievement in the field of healthcare information," said Joseph R. Landsman, Jr., President and CEO of UT Medical Center and University Health System, Inc. "We are proud of Sandy for achieving this important recognition and demonstrating the highest standard of professional practice to which the UT Medical Center and the Medical Library Association are committed." 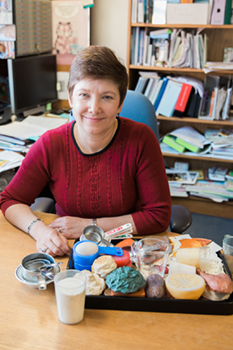 Oelschlegel maintains multiple areas of research in the field of health information and has several health-related publications to her credit. Most recently, she organized Tennessee's first-ever Health Literacy Forum which was held at UT Medical Center and was attended by approximately 100 healthcare professionals, educators, librarians, and government and business leaders from across the state. Jim Neutens, PhD, Dean of the UT Graduate School of Medicine, said, "This was an excellent first step in addressing health literacy, and through Sandy's leadership many more steps will be taken to ensure we are focusing on health literacy here at home and well beyond." According to MLA, information professionals must have a master's degree in library and information sciences, accredited by the American Library Association, or other master's degree with documented coursework in professional competencies, to be awarded membership in AHIP. Additionally, academy members must distinguish themselves in important areas of professional competencies to become a member and to be promoted through the program. 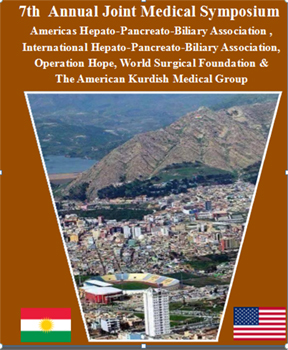 MLA is a nonprofit, educational organization of health sciences information professional members worldwide. Founded in 1898, MLA provides lifelong educational opportunities, supports a knowledge base of health information research, and works with a global network of partners to promote the importance of quality information for improved health to the healthcare community and the public. Bohannon fulfills two roles in one as a dietitian and diabetes counselor that supports the UT Graduate School of Medicine mission for healing and education. Through pre-scheduled appointments and an on-call basis, she works with University Family Physician patients on medical nutrition therapy to help treat a variety of diseases and disorders including diabetes, weight management, and high blood pressure. Bohannon also organizes a chronic disease management clinic with residents and pharmacists. She said the holistic approach helps patients receive the best care possible by residents. Beyond her work, Bohannon is an antique dealer. She also has a goal to hike every trail in the Smokies, and she is currently 60% of the way to her goal. Rucker supports the Department of Obstetrics and Gynecology by ensuring the entire department has all of the resources needed to function in education and research, including personnel and supply needs. She directly supports Larry Kilgore, MD, Chair, as well as all of the physicians within the department. She also assists Nirmala Upadhyaya, MD, MPH, Clerkship Director, as medical student coordinator to schedule all of the medical student activities including lectures, presentations and rotations. Beyond her work, Rucker sponsors her church's outreach ministries, including coat drives, Shoes for the Soul, and Thanksgiving baskets for those in need. Most recently, Rucker said her church sent water, hand sanitizer and wipes to Flint, Michigan, in response to its water crisis. The University of Tennessee Medical Center and UT Graduate School of Medicine empower its team members to impact the patients, campus and one another through the annual Team Member Giving Campaign. 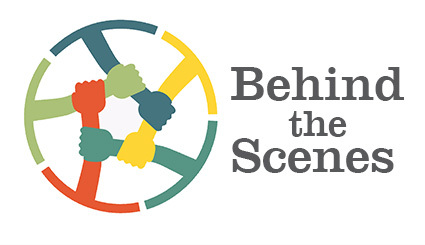 With more than 25 percent team member participation, team members demonstrate the true philanthropic spirit of the medical center — and that it is worthy of the community's financial support. The history of the Team Member Giving Campaign has evolved over the years; from the Campus Chest to the Torch Campaign, to what it is now. However, the purpose has remained the same: to support the University of Tennessee Medical Center's and UT Graduate School of Medicine's mission to serve through healing, education and discovery. This year's giving campaign is May 2-May 8. 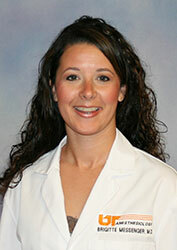 For 10 years, Kelly McDaniel has considered herself extremely fortunate to be part of the Family Medicine team. Whether overseeing a staff of 48, being part of the faculty, helping interview and educate the residents or developing the curriculum for practice management, she takes the most joy in simply interacting and collaborating with her colleagues on a daily basis. She said, "The staff and faculty are extremely giving of themselves and are dedicated to keeping up with best practices to ensure the highest level of care is accessible for those they serve." From a professional perspective, it may not be surprising that McDaniel chooses to give back to Family Medicine through the Team Member Giving Campaign. However, that is only part of her story. Not only was she raised to embrace a philanthropic spirit, but also she's spent much of her career in the non-profit industry. Meaning, she understands the impact that fundraising can have on building and sustaining a successful program. 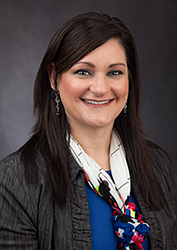 Being a part of the Family Medicine team offers an even more unique perspective in that she is able to see how her contributions positively affect the renovation fund, facility and educational opportunities for residents. Just as significant, though, are her personal reasons for providing support. McDaniel, her husband and their daughter are all patients of the University Family Physicians practice, which is housed in the Department of Family Medicine's clinical space. The McDaniel's have complete confidence in the physicians, faculty and residents they've built relationships with over the years. And, five years ago when McDaniel's husband suffered a heart attack while visiting her at work, their trust in the clinicians was only strengthened. McDaniel's husband received the immediate attention and expert care that he needed to make a full recovery. 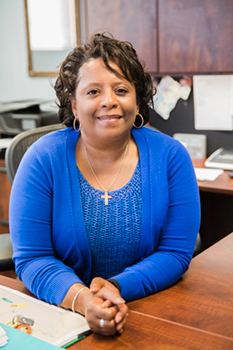 By supporting the renovation fund, McDaniel is able to help ensure that future residents will continue receiving training opportunities designed to help them save lives -- just as the team was able to do for her husband. The fund was originally established to provide resources for construction, equipment and supplies for the Department of Family Medicine Renovation project, ensuring continued excellence in patient care programs, education and research. The state-of-the-art academic complex offers an auditorium equipped with up-to-date A/V tools, workspace for scholarly activity and a resident lounge. The clinical space allows for more patient-centered care and mirrors the type of environment that residents will eventually practice in, which is critically important when training and meeting industry best practices. Education in practice management, quality improvement, procedures and chronic disease management are also integrated into the patient care suites.